Joe Schmidt has named the Ireland squad for the two-test tour of Argentina next month. Leinster out-half Ian Madigan misses out on the trip to the Southern Hemisphere, and instead will travel with the Emerging Ireland squad to Romania. The move may surprise some supporters as Jonny Sexton could probably do with a rest after a long season. His first campaign as Racing Metro player was preceded by the victorious Lions tour, and he’s also been on Ireland duty last November and during the Six Nations. Paddy Jackson has been named as the second out-half on the Argentina tour. Schmidt named four uncapped players for the trip. They are Ulster forward pair Rob Herring and Robbie Diack, Munster front row Dave Cronin and Connacht scrum-half Kieran Marmion. Herring and Diack qualify for Ireland through residency. Some experienced campaigners have been given the chance to rest and recuperate after a gruelling campaign. Tommy Bowe, Sean Cronin, Gordon Darcy, Sean O’Brien and Cian Healy won’t be on the plane. Dave Kearney’s injury he picked up against Ulster at the weekend sees him miss out, with Munster’s Simon Zebo given the opportunity to show his worth to Joe Schmidt after playing no part in the Six Nations victory this spring. Captain Paul O’Connell travels, but this is the first Ireland squad of the post Brian O’Driscoll era, with the talisman having retired from international rugby following the Six Nations. In his absence, the outside centre spot is up for grabs. With Keith Earls, Darren Cave and Robbie Henshaw all on the plane and mooted as possible replacements at 13, it will be interesting to see who Schmidt auditions in Argentina. The tests take place on the 7th of June in Resistencia and the 15th in Tucuman. Rory Best (Ulster), James Cronin (Munster), Robbie Diack (Ulster), Iain Henderson (Ulster), Chris Henry (Ulster), Jamie Heaslip (Leinster), Rob Herring (Ulster), David Kilcoyne (Munster), Jack McGrath (Leinster), Martin Moore (Leinster), Jordi Murphy (Leinster), Paul O’Connell (Munster, captain), Mike Ross (Leinster), Rhys Ruddock (Leinster), Devin Toner (Leinster), Damien Varley (Munster). Darren Cave (Ulster), Keith Earls (Munster), Robbie Henshaw (Connacht), Paddy Jackson (Ulster), Felix Jones (Munster), Rob Kearney (Leinster), Kieran Marmion (Connacht), Luke Marshall (Ulster), Fergus McFadden (Leinster), Conor Murray (Munster), Eoin Reddan (Leinster), Jonathon Sexton (Racing Metro), Andrew Trimble (Ulster), Simon Zebo (Munster). As predicted by all but Tim Sherwood, Tim Sherwood’s contract has been terminated early at Spurs. In the aftermath of Andre Villas Boas’ sacking in December, the former Blackburn captain was handed the reigns and an 18 month contract. No one seriously believed that Sherwood would remain beyond the summer, even if he did manage to win more than half of his games. So who will replace Sherwood as the next victim of Daniel Levy’s itchy trigger finger? As is always the way with managerial vacancies, there have been many names mentioned, the majority of which are utter nonsense. The lack of Champions League football at Spurs next season will be a major factor in the recruitment of a new manager, so the likes of Jurgen Klopp and Diego Simeone will categorically not be gracing the White Hart Lane hotseat. Louis van Gaal was hotly tipped to take over at Spurs this summer once his contract with the Dutch national side ended after the World Cup. However Manchester United look to have pinched him from under Levy’s nose as they look for a replacement for David Moyes. Nevertheless, there are a few viable candidates for Spurs fans to mull over. Say what you will about the man – and Chelsea fans had plenty to say last year- Benitez does a good job at the majority of clubs he managed. He won two league titles and a UEFA Cup with Valencia, the Champions League and an FA Cup with Liverpool, a Europa League with Chelsea, and a few weeks ago his Napoli side won the Coppa Italia. Not a bad record at all. He may not have had the best time at Inter Milan, but to be fair he took over from Jose Mourinho who had won the Champions League with the Nerazzurri. 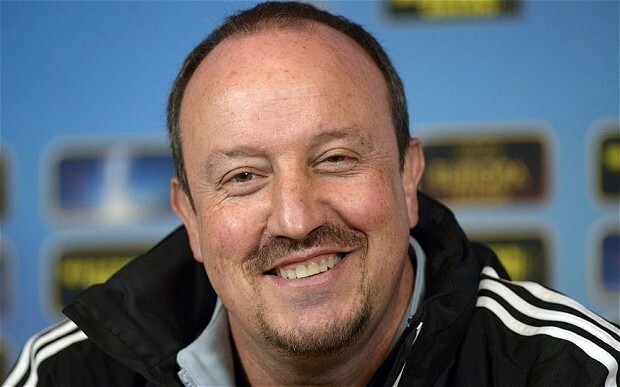 Chelsea fans disliked him as a result of his rivalry with the club during the Mourinho era, but Benitez came in and did a professional job, culminating in the Europa League final victory over Benfica in 2013. The Spaniard has always talked up his love of England and may be tempted with a move back to London. However he has a quality squad at his disposal at Napoli right now so it would be quite surprising should he take the Spurs hotseat. The 44 year old has enjoyed a successful spell at the helm of Ajax, after cutting his teeth coaching the club’s youth team and as Bert van Marwijk’s assistant at the Dutch national side. With four Eredivisie titles to his credit as manager, the younger of the De Boer twins has done a good job in the Dutch league. In knock-out competitions, he has fared less spectacularly however. He has won just one Johan Cruijff shield during his tenure. Ajax are Champions League mainstays, but under De Boer have never progressed beyond the group stages. 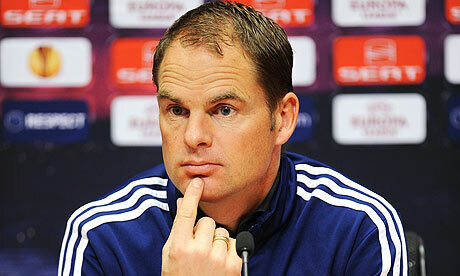 De Boer hasn’t kept his cards close to his chest as regards the Spurs job. He said recently that he had been in contact with the club, something that didn’t go down too well with Tim Sherwood at the time. If De Boer does get the job he’ll see a few familiar faces in the Spurs dressing room. Cristian Eriksen and Jan Vertonghen both played under the Dutchman at Ajax before making the move to North London. The footballing community couldn’t believe it when Southampton sacked Nigel Adkins in January 2013, with the side three points clear of the relegation and fresh off a draw with Chelsea. In Adkins place came Pochettino, a 40 year old Argentinian who had been out of work since leaving Espanyol two months previous. He was initially viewed as the man who had taken the job of an English manager, but that soon changed as he led Southampton to victories against Manchester City, Liverpool and Chelsea. In his first full season in charge, Pochettino’s side have consistently remained in the top half of the table, even occupying third place for a time. Southampton play an aesthetically pleasing brand of passing football, with Adam Lallana, Jay Rodriguez and Rickie Lambert all stand out performers this season. It’s a club with a big future if they can hang onto Pochettino and their young talents. If another club such as Spurs did come in for Pochettino in the summer, what could help engineer a move is the fact that Nicola Cortese, the chairman and ally of the manager, was fired in January. In the aftermath Pochettino was rumoured to be close to quitting but ultimately decided to wait until the summer to decide his future. If he likes to build up a good working relationship with a chairman however, will he really be comfortable working under the notoriously difficult Daniel Levy? 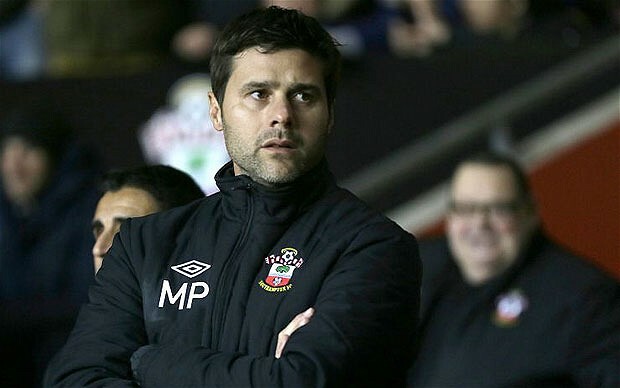 Pochettino has been installed as the bookies favourite for the Spurs job, and fans will hope that if he does arrive at White Hart Lane he might bring one or two of the talented Southampton players with him. The major complaint levelled against Spurs in the season just gone was their lack of attacking invention and urgency. Cristian Eriksen notwithstanding, the players found it very difficult to break teams down and as such goals were hard to come by. Under Pochettino, Southampton hassle and harry opponents close to their own goal, so that when the Saints do get possession, the opposition is disorganised in defence and susceptible to quick passing movements. If the Argentinian did make the move to Spurs, he would have a talented midfield at his disposal that would be well suited to implementing such a game plan. After such a convincing victory against Norwich last weekend, there were calls from certain quarters for Ryan Giggs to be handed the Manchester United manager post on a full-time basis. Sub-keeper Anders Lindegaard reckoned the Welshman could be the next Pep Guardiola. Saturday’s loss at home to Sunderland has brought the Red Devils right back to earth, and highlighted the shortcomings on the field that will have to be addressed no matter who the manager is next season. United have nothing but pride to play for at this stage of the season, but the ability to dominate sides in the midfield hasn’t been evident for quite a while. None of Carrick, Cleverley, Fellaini or Fletcher strike terror in the hearts of opposing teams the way Yaya Toure does for Manchester City, or Aaron Ramsey at his best for Arsenal. Change may take place in the dug-out this summer, but personnel changes in the centre of the park are just as vital. In the aftermath of a turgid nil-all draw with Norwich on Sunday, Jose Mourinho complained that only one team had attempted to play football. Surprisingly, that team was Chelsea. Norwich City have been absolutely awful in front of goal this season, and at Stamford Bridge they sat deep and attempted to catch Chelsea on the counter, rather than going gung-ho at a team that could punish them. Sitting deep and hitting teams on the counter is something that Chelsea have done with varied results in the recent past. It worked against Liverpool and categorically didn’t against Atletico Madrid. It doesn’t matter if it’s pleasing to the eye, football is a results game and Mourinho’s teams exemplify that mind-set more than most. The Portuguese coach knows full well the reputation his team has for playing negative football, and you can imagine him turning a corner after giving his post match comments about Norwich yesterday, and laughing his head off. A team that takes 7 of a possible 9 points against the two Manchester Clubs and Chelsea deserves to stay up. Sunderland have done just that and with Saturday’s victory at Old Trafford they look almost certain to beat the drop. Going into the game against United, Gus Poyet’s team had a cloud hanging over them due to the threat of a points deduction. Norwich, Cardiff and Fulham had joined to petition the FA regarding Sunderland’s fielding of an ineligible player. The Black Cats had already been fined by the FA for playing Ji Dong-Won in four games at the start of the season without international clearance from FIFA, but the three teams below them were desperate to drag Sunderland deeper into the relegation dog-fight. Unfortunately for them, there is no rule that forces the FA to dock points in a scenario such as Sunderland found themselves in. Fulham and Cardiff were relegated at the weekend, and Norwich are favourites to join them next weekend. Sunderland have fought their way out of the relegation zone with their results in the run-in. If the teams below them want to lay the blame for their relegation somewhere, they’d be best served to look at their own performances. Both the red and blue halves of Merseyside will be intently focused on the happenings at Goodison Park tomorrow. It would be some twist to the tail-end of this Premier League season if Everton were to hand the impetus in the title race to their local rivals. Yet, should the Toffees beat Manchester City in tomorrow’s evening kick-off, Liverpool would be favourites to win their first championship in 24 years next weekend. It’s not beyond the realms of possibility either. Manchester City’s record at Goodison Park is woeful, with one paltry win in the last 21 years. On the other hand, Everton have only conceded defeat twice at home this season. Roberto Martinez’ men have had an excellent campaign, something acknowledged last weekend with the inclusion of full-back Seamus Coleman in the PFA team of the year. Two defeats in their last three games have halted their momentum however. The last defeat was a hard one for Everton fans to take, as their side handed Southampton victory through two own-goals. That loss at Southampton has seen Everton’s Champions League aspirations all but vanish, however a win against City would put the pressure on fourth place Arsenal ahead of their game with West Brom on Sunday. Everton are currently four points behind the Gunners and will be hoping to take the fight for fourth to the last day of the season. Chelsea’s win at Anfield last weekend has allowed Manchester City to take control of their own destiny once more. They are three points behind Liverpool with a game in hand and a superior goal difference. After the trip to Everton, they end their season with two home games against Aston Villa and West Ham. David Silva is set to return to the City line-up having missed the win against Crystal Palace last weekend with an ankle injury. For Everton, Gareth Barry is ineligible to play against his parent club, and Sylvin Distin could miss out due to a hamstring injury. The Toffees have received some good news on the injury front however with captain Phil Jagielka available for selection having been out since February. With both Chelsea and Atletico Madrid’s obvious penchant for sitting back and hitting opponents on the break, tonight’s game may not be for those looking for a spectacle. Liverpool decided on Sunday to stick to their usual style of football when Chelsea visited Anfield. One Steven Gerrard slip allowed the Blues to score through Demba Ba, and the league leaders spent the rest of the game attempting desperately to break down Jose Mourinho’s defensively watertight unit. The Blues invited Liverpool forward and then hit them on the counter, eventually culminating in Willian’s injury-time insurance goal. Atletico Madrid haven’t suffered defeat in their past 14 games, and will have watched Sunday’s game with interest. Diego Simeone is unlikely to adopt a gung-ho approach as he knows with so much at stake the team who makes the least mistakes will progress to May’s final in Lisbon. One away goal from Atletico will force Chelsea to chase the game and leave themselves more vulnerable at the back. Simeone’s side won’t throw the kitchen sink at the home side early on, instead they will play the ball around and probe for weaknesses. It may not make for the most glorious game of football, but last night’s meeting of Real Madrid and Bayern Munich -billed beforehand as an ad for the beautiful game- was hardly high-drama either. With the outcome decided by half-time, the second half was a tawdry affair. It is difficult to see tonight’s game being less than competitive for the duration. You may have to refresh the page to update content. New posts will appear at the top. Comments on the game can be posted underneath or tweeted to me at @AlanKeane23. Full time thoughts – For all the talk about Chelsea’s defensive strengths. their lack of a cutting edge up front has cost them dearly tonight. They may have struck first but Atletico responded in emphatic fashion. It would have been understandable if Diego Simeone had set up his team defensively in the second half to protect the away goal lead, but Atletico came out and attacked Chelsea in admirable fashion. Atletico are having an excellent season and even faced with an ultra defensive Chelsea line-up tonight they were well capable of creating opportunites. All the players worked hard for each other, and collectively they deserved the victory tonight. In contrast, Mourinho’s defensive know-how is only as effective as the players who implement his instructions on the field. Eden Hazard was at fault in the build up to two of Atletico’s goals tonight. Mourinho’s decision to omit the lively Schurrle in order to play Azpilicueta in midfield will be scrutinized in depth in tomorrow’s papers. 90+5 mins – The final whistle goes and Atletico’s incredible unbeaten Champions League season continues! They will face cross-city rivals Real in the final on May 24th. What a game that will be. 90+3 mins – Chance! Hazard gets through on goal and Courtois blocks his shot with his legs. Terry blasts the follow up over the bar. Courtois desperate to keep a clean sheet. 90+2 mins – Chelsea pumping balls into the box but Atletico deal with them easily. 90 mins – Five minutes added but there’s little chance of a Chelsea comeback. 87 mins – Atletico fans in fine voice behind Courtois’ goal. They’re already wondering how to get their hands on tickets for the final. 84 mins – Chelsea reduced to scraps. Courtois watches as an Eto’o attempt to control the ball dribbles past his post. 82 mins – Nope. There was a bit of confusion there as Sosa looked injured and Simeone wanted to check he was ok before making the substitution. The change can be made now as Turan makes way. 81 mins – Diego Simeone applauds as Arda Turan makes way for Cristian Rodriguez in Atletico’s final substitution. 79 mins – Atletico still look the team most likely to score. Chelsea looking disorganized, even in defence. 76 mins – If Atletico hold on, it’ll be the first European Cup final encounter between two sides from the same city. The entire population of Madrid will be in Lisbon on May 24th. Apart from a few sullen Getafe fans. 75 mins – Substitutions. Diego Costa limps off to be replaced by Jose Sosa. Another midfielder on the field for Atletico. Willian is replaced by Schurrle in Chelsea’s final substitution. 71 mins – GOAL! 3-1 Atletico! Arda Turan reacts quickest to slot home a ball that came off the crossbar from his own header. Eden Hazard yet again switched off to allow Juanfran get the initial cross in. Surely that’s the end of the road for Chelsea! 69 mins – Ivanovic’s shot is smartly saved by Courtois but the whistle had already gone for a Demba Ba foul on the goalkeeper. 66 mins – Demba Ba on for goalscorer Fernando Torres, who applauds both sets of fans on his way to the bench. 65 mins – Raul Garcia comes on for Adrian. Diego Simeone shoring up the midfield. 64 mins – Adrian Lopez gets a yellow card for a needless foul near the Chelsea box. 63 mins- Chance! David Luiz’s header ricochets off of the post and Courtois parries clear. Chelsea almost managed to claw one back immediately. 62 mins – Chelsea fans look apprehensive. Can their team score twice in the next 30 minutes or so? 59 mins – GOAL! 2-1 Atletico! After getting yellow carded for marking the penalty spot (or time-wasting maybe), Costa makes no mistake. His penalty finds the roof of the net and now Chelsea need two goals. 58 mins – PENALTY! Eto’o trips Costa just inside the box. Clumsy striker’s challenge from the substitute. 57 mins – Atletico look like the side chasing the game. They’ve been liveliest in the first ten minutes or so of the second half. 54 mins – Atletico calls for a penalty as Azpilicueta appears to drag down Turan are waved away by the referee. 53 mins – Substitution for Chelsea as Eto’o replaces Ashley Cole. Azpilicueta reverts to left back. 52 mins – Chance! Great save from Courtois as John Terry arrives like a train to head a long free kick towards goal. 50 mins – Courtois gathers a long ball with ease with Torres challenging. The Belgian goalkeeper is playing at Stamford Bridge for the first time tonight, even though he’s technically a Chelsea player the past 3 years. Eto’o getting instructions from Mourinho. 47 mins – Schwarzer spares the blushes of Terry and Ivanovic as they fail to deal with another ball across the face of the goal. The shot from Adrian blocked away by the goalkeeper. 20:48 – Back underway at Stamford Bridge. Chelsea must score in the next 45 mins to advance to the final. Half time thoughts – Both lauded defences have been breached and the momentum is definitely with Atletico going in at the break ahead on away goals. For the first half an hour it was difficult to see who would make the breakthrough, and when Torres put Chelsea ahead you expected the home side to park more double deckers than Evil Knievel would jump over. A lapse from Hazard allowed Juanfran to create Adrian’s equalizer and now Chelsea need another goal if they are to progress. Atletico will defend ferociously and look to catch Chelsea on the break. The manager whose team progresses tonight will have earned their night’s wage. 45 mins – The referee adds no time at the end of the half so the teams trudge off with the bare 45 gone. 43 mins – GOAL! 1-1. Juanfran escapes Hazard at the back post and when Tiago’s cross finds him he squares to Adrian who scuffs the ball into the ground and into the top corner of Chelsea’s goal. The advantage has swung firmly back in Atletico’s favour! Terry and Cole could maybe have done better defending the ball across the square from Juanfran. 41 mins – Another decent delivery from Koke reaches Adrian who can’t direct the ball past Schwarzer. The Australian gathers gratefully. 39 mins – So… That was an assist by Azpilicueta. Playing in an unfamilia midfield role. Cue fawning tributes to Mourinho’s tactical genius if Chelsea win tonight. 35 mins – GOAL! 1-0 Chelsea! Willian with excellent work down the right allows Azpilicueta to find Torres in the centre. The striker’s shot deflects off Mario Suarez past the helpless Courtois. First goal Atletico have conceded in 7 games. They’ll need to work even harder to break down Chelsea’s defence now! 34 mins – Costa is getting a little annoyed with the quality of ball played up to him. The latest effort is easily dealt with by John Terry again. 30 mins – First yellow card of the night for Gary Cahill for a challenge on Costa ten yards outside the Chelsea box. Koke’s ball was dangerous but well cleared by Terry. 27 mins – Chelsea have had a lot of the possession so far but don’t seem too keen to push forward. For Atletico, Diego Costa is moving around to find the ball, but in doing so he’s leaving his midfielders one option less through the middle. 24 mins – A corner for Chelsea nearly finds its way to John Terry at the backpost. It’s cleared by Atletico for another corner but Terry complains to the referee that his shirt was pulled. 22 mins – Even cheekier shot from David Luiz as the ball comes in from the throw. He chests the ball facing away from goal and unleashes a scissors kick which flies narrowly past the far post. 18 mins – One of Chelsea’s six defenders makes a mistake and atones immediately. Gary Cahill misplaces a pass and has to scramble to block a shot from Costa close to the Chelsea goal. 15 mins – A good run from Diego Costa ends when he opts for a shot himself from a difficult angle. He might have been better served laying the ball off to the onrushing Tiago at the edge of the box. 14 mins – Willian commandeers the set-piece and scoops it over the bar. Not enough room there to get it over the wall and back under the crossbar. 13 mins – Free-kick in a promising area for Chelsea as Koke fouls Ramires on the edge of the “d”. 12 mins – You get the feeling that the longer it remains nil-nil the more each team will be happy to get men behind the ball. A goal from somewhere however… and all hell could break loose as the team behind will have to chase the game. 8 mins – Very crowded in the centre of the field early on as both teams are quick to close down the ball. 3 mins – Chance! Nearly an early away goal for Atletico. A Koke cross loops over everyone including Schwarzer, hits the crossbar and post before ricocheting off of Cahill and over the bar. 2 mins – Fernando Torres with a lovely bit of juggling in the midfield but he’s eventually disposessed. Himself and Diego Costa could be swapping clubs this summer if reports are to believed. Costa wanted by Chelsea and Torres could be used as the bait that makes his former club to bite. 1 min – Dave (alright Azpilicueta) has lined up on the right side of midfield. 19:45 – They’re ready to go at Stamford Bridge, just as soon as a minutes silence for Tito Vilanova and Vujadin Boskov is observed. Actually, it’s a minutes applause. The done thing nowadays. 19:40 – Meanwhile on RTE, Billo is commentating on Maradona taking a selfie on a phone that looks like a minion from Despicable Me. As you do. 19:35 – Gary Neville commentating on Sky tonight. Cover your ears if Torres scores at any stage. 19:30- Ex-Chelsea midfielder Tiago starts for Atletico tonight in place of Gabi. Prolific striker Diego Costa will hope to shake off the shackles of the Chelsea defenders. If he or partner Adrian Lopez can’t find a breakthrough, David Villa is on the bench. 19:25 – Plenty of attacking options on the bench for Chelsea tonight however. Schurrle, Oscar, Ba and Eto’o all among the substitutes. 19:15 – Interesting team selection from Jose Mourinho. Six defenders (if you count David Luiz) named in the starting XI. Will there be three centre-halves with Cole and Azpilicueta as wing backs? Sky Sports reckon Azpilicueta (the Spaniard known simply as Dave) will form part of a midfield three with Luiz and Ramires. 1. Mistakes mar excellent seasons. No matter how good a season you’re having, one mistake can unravel much of the stellar work gone before. Both Seamus Coleman and Steven Gerrard were named in the PFA Team of the Year last night, and deservedly so. The Irish full back has been magnificent in defence and attack for Everton throughout the campaign, and Gerrard has been a driving force behind Liverpool’s title tilt. Yet on the same weekend that they received the PFA accolades, mistakes by the duo have helped hinder their team’s lofty ambitions. Coleman scored the second of two own-goals as Everton succumbed to Southampton on Saturday, while Gerrard’s slip on the Anfield turf allowed Demba Ba give Chelsea a lead they wouldn’t relinquish yesterday. These errors cannot take away from the wonderful work done by both players this campaign, but they may yet prove fatal to the ambitions of both clubs on Merseyside. 2. Mourinho can dispense with the mind-games. Chelsea frustrated Atletico Madrid for a full 90 minutes on Tuesday night. It wasn’t pretty, but it gave the London side the advantage ahead of this week’s second leg. Speaking to the press in the Vicente Calderon afterwards Jose, Mourinho turned his focus to the clash with Liverpool at the weekend. Or did he? He spoke about resting players for the game in order to focus on the second leg with Atletico. Which was his real concern. But was he bluffing? Oh never mind. The long and the short of it is that Chelsea (minus a few players due to injury) turned up at Anfield yesterday and put in another exquisite defensive performance. Liverpool had the majority of the possession, but could not break down the banks of blue shirts between them and the Chelsea goal. Mourinho’s celebrations after Willian doubled Chelsea’s lead at the death belied his suggestion that he didn’t care about the game. It had been just another case of psychological posturing from the Portuguese coach. The way in which he sets out his team in big games may not be pretty at times. Some might even call it hypocritical, given that Mourinho is quick to criticise clubs who park the bus against Chelsea. However the defensive displays Mourinho’s teams are able to produce when it counts show the extent of his tactical acumen. Mourinho is one of the best tacticians around. The mind-games may be great fodder for the media, but his ability to bring the best out of his own player renders them unnecessary. 3. Norwich impotence in front of goal to cost them Premier League place. After Saturday’s 4-0 loss at Old Trafford, Norwich fans can’t be holding out much hope for a great escape. Their final two fixtures are Chelsea at Stamford Bridge and Arsenal at home. Supporters at Carrow Road on May 11th may turn up hoping for a miracle,. but it looks more likely that they will be bidding farewell to the Premier League for next season at least. It doesn’t matter who the manager is, the reality being that if your three main strikers can only manage 12 goals between them all season, you’re going to struggle to stay in the league. Gary Hooper has managed eight goals, Johan Elmander three, and the beacon of hope that was Ricky Van Wolfswinkel has scored a single paltry goal since his £8.6m move from Sporting Lisbon last season. Connor Wickham cost around the same amount when he moved to Sunderland from Ipswich a few years back. It’s taken him quite a while to come anywhere near justifying that fee, but four goals in his last three games have seen the Black Cats move outside the relegation zone for the first time since February. A few weeks back, Sunderland looked dead and buried as a Wes Brown own goal handed Everton three points at the Stadium of Light. In the meantime, a draw against Manchester City and victories over Chelsea and Cardiff City have seen Gus Poyet’s men become favourites to beat the drop. Norwich can take heart from Sunderland’s story, but unless they somehow find goals against Arsenal and Chelsea, they’ll be a Championship side next season. Another day of reckoning in a season-full of them has arrived. Three points for Liverpool today and the final few games become a victory procession for the first league title to go to Anfield in 24 years. A win for Chelsea and it’s squeaky bum time for the team so desperate to get back on the perch. Just five points separate the sides going into today’s game. If you are to believe Jose Mourinho however, Chelsea are more concerned with beating Atletico Madrid in the Champions League than challenging Liverpool for the league. Brendan Rodgers may be a friend of the Portuguese coach, but he won’t be taken in by Mourinho’s mind games. The Chelsea team selection may be restricted somewhat due to injuries to John Terry and Petr Cech, but whoever takes to the field, they won’t roll over at Anfield. Liverpool: Mignolet, Johnson, Flanagan, Skrtel, Sakho, Gerrard, Allen, Lucas, Coutinho, Sterling, Suarez. Subs: Jones, Toure, Agger, Cissokho, Alberto, Aspas, Sturridge. Chelsea: Schwarzer, Azpilicueta, Kalas, Ivanovic, Cole, Matic, Mikel, Salah, Lampard, Schurrle, Ba. Subs: Hilario, Ake, Cahill, Van Ginkel, Baker, Willian, Torres. You may have to refresh the page to update content. New posts will appear at the top. Comments on the games can be posted underneath or tweeted to me at @AlanKeane23. Full time thoughts – Mourinho may have started without a few key players but those that took to the field in blue executed the game plan to perfection. Liverpool went out looking for a 12th straight win and that played right into Mourinho’s hands. Chelsea were happy to sit back and soak up the pressure and hit Liverpool on the counter. Liverpool remain top, but the advantage is now with Manchester City again. If Pellegrini’s team win their three games they will win the league on goal difference. Again. Mourinho indicated during the week that the Champions League was the main priority for Chelsea but he forgot to tell his face after Willian’s goal. The master of mind games has done it again, but it was his game plan that won out today, not the codology. 95 mins – Full time. 93 mins – GOAL! 2-0 Chelsea! Willian! As Liverpool press for an equalizer Willian pounces on a loose ball and feeds Torres. The Spaniard races clear and presents Willian with a tap in with Mignolet helpless. Game over. Mourinho celebrates like he actually cares about the Premier League. 92 mins – A yellow card for Jose Mourinho for something he said on the sidelines. Torres follows him into the book with a trip on Sakho. 91 mins- Suarez swerves a shot at Schwarzer which he parries over. Iago Aspas wastes the resultant corner. 90 mins – 4 minutes added on. 89 mins – Chelsea just playing the clock down now. Matic runs the ball into the corner. 85 mins – Suarez with two poor passes in quick succession as Liverpool try and force the game. 83 mins – And now Ba makes way for Fernando Torres. A smattering of boos for the former Liverpool player as Jose Mourinho makes his final substitution. 82 mins – Ba may have scored but other than that he’s having an absolute shocker. He takes far too long to spot Willian who was clear on goal. His eventual pass hits off Ashley Cole. 81 mins – Sterling wins a corner after getting behind the Chelsea defence. Another corner results as Coutinho’s shot is deflected. 80 mins – Coutinho tries to find Suarez but his pass goes just beyond the Uruguayan at the back post. Iago Aspas comes on for John Flanagan as Liverpool make another substitution. 78 mins – Suarez hangs the ball on the penalty spot and Gerrard rises to head weakly into the arms of Schwarzer. The captain is desperate to atone for the error that led to the Chelsea goal. 76 mins – And another from Gerrard. Substitution for Chelsea as Schurrle makes way for Gary Cahill. Mourinho putting more bodies between Liverpool and the Chelsea goal. 74 mins – Gerrard with another shot from outside the box. 15 minutes left to find a breakthrough. 72 mins – Suarez with a sublime turn on the byline to make some space. Nothing comes of his low drive across the box however. Chelsea with almost everyone behind the ball. Impossible to break down. 71 mins – Great ball from Gerrard across the box but Azpilicueta heads away before it can reach anyone in a Liverpool shirt. 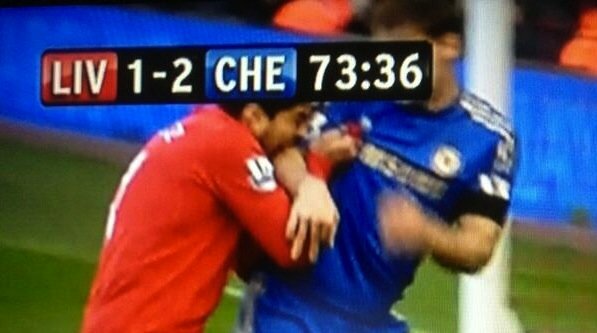 68 mins – Suarez getting a bit annoyed with the constant dawdling on the ball that Schwarzer has been guilty of today. Tries to hurry the keeper into utilising the ball quicker. 66 mins – Constant Liverpool pressure results in a Joe Allen shot from distance. Schwarzer comfortable again. Liverpool need to find a way behind the Chelsea defence. Even as I write Gerrard has another unsuccessful pop from outside the box. 62 mins – Schurrle forces a good save from Mignolet who has had little to do in the second half so far. 59 mins – Substitution for Chelsea as Willian on for Salah. The Brazilian works hard and will be an asset defensively for the blues as well as a threat up front. 58 mins – A Joe Allen volley forces Schwarzer into a fine save. In the aftermath of the corner Suarez tries a cheeky lob which is easily managed by the Australian keeper. 57 mins – Substitution for Liverpool as Lucas makes way for Daniel Sturridge. A positive move from Brendand Rodgers. 55 mins – A deflected Gerrard shot is gathered easily by Schwarzer. That’s the Liverpool captain’s second shot in the second half as he attempts to make amends for his slip at the end of the first half. 50 mins – Kalas nudges Sterling just inside the box and the Liverpool forward goes flying. Appeals from the Liverpool fans for a penalty but it was sheer strength from the young centre-half. 50 mins – Hectic first five minutes to the half. Liverpool again with a lot of possession but Chelsea resolute at the back. Sturridge warming up for the home side. 45 mins – Almost a chance for Liverpool already. Suarez knocks it beyond the Chelsea defence but Lucas seems to get in the way of the striker and the ball goes out for a goal kick. 45 mins – The game’s back under way at Anfield. Half time thoughts: Chelsea have the lead but it’s against the run of play. Demba Ba’s touch has been terrible all day but Gerrard’s slip gifted him an opportunity and he stuck it away well. Liverpool have been well on top in the first half without really creating any major chances. Chelsea have been happy to sit back and soak up the pressure and it’s unlikely that will change in the second half now that they have the lead. Jose Mourinho’s men have executed their game plan to perfection so far. If you want to win titles you have to prove your worth in games like this, so Brendan Rodgers and his side need to find a way to penetrate the Chelsea defence or Manchester City will sense blood. 45 +2 mins – GOAL 1-0 Chelsea! Demba Ba capitalizes on a slip from Steven Gerrard to race through and slip the ball under Mignolet. 45 + 2 mins – Kalas lost his marker from a Chelsea corner and had the chance to become an instant fan favourite. 45 mins – 3 minutes tacked on to the end of the first half. 42 mins – Another yellow card, again for a tackle on Raheem Sterling. This time for Frank Lampard. 40 mins – A relatively poor ball across the Chelsea defence somehow finds Sterling. The youngster picks out Suarez who curls a shot just over from the edge of the box. 39 mins – The referee Martin Atkinson talks to Chelsea keeper Schwarzer about time-wasting. His card is marked. 37 mins – Shouts for handball from Chelsea as a Salah shot strikes Flanagan. Definitely hits his hand but there was little the defender could to to get his hand out of the way. 35 mins – Fernando Torres looking on from the subs bench. Amazing to think that less than half the money Liverpool made off his sale went on buying Suarez. 30 mins – Chelsea have played quite conservatively so far. They’re content to let Liverpool retain possession and then attempt to create something on the counter. 24 mins – Cole barges into Suarez as he tries to challenge for an aerial ball. Clever from the Uruguayan striker to stand in Cole’s way. As Gerrard lines up the free-kick, the two managers have an amicable chat on the sidelines. 23 mins – Handbags in the corner between Sterling and Azpilicueta. Nothing much in it and the ball goes out for a Liverpool corner. 20 mins – First yellow card of the day. Sterling challenged Mohamed Salah to a race and the Egyptian trips him before he can run at the Chelsea back-line. 19 mins – Coutinho drags a show well wide from the edge of the box. All the game being played in and around the Chelsea defence at the moment. 16 mins – Chelsea can’t secure possession outside their own half so far. 13 mins – Big chance! The corner hits Mikel and Cole half clears off the line. When it eventually comes back in from Suarez, Sakho blasts over. 12 mins – Another corner for Liverpool. The home side has looked liveliest early on. 10 mins – Sublime no-look ball across the box from Suarez. Coutinho could have knocked back in to Joe Allen but opted to take on the shot and hits the side netting from a tight angle. 7 mins – Good tackle from Salas as Sterling looks to accelerate onto a ball behind the Chelsea defence. Corner Liverpool. 5 mins – Ashley Cole forces Mignolet into an early save. Touches the ball past Raheem Sterling on the edge of the box and lets fly. The keeper parries to safety. 3 mins – Schurrle feeling the force of a Glen Johnson challenge. Wincing on the sideline as club doctor Eva Carneiro sees to him. She’s the only team doctor most football fans can name. Funny that. 14:05 – And they’re off! 14:02 – Kop in full voice. Chelsea fans trying to make themselves heard through You’ll Never Walk Alone. Not happening. 13:55 – Now all eyes on Anfield for a crucial clash at the other end of the table. Full house on Merseyside. 10 minutes to kick-off. 13:52- And it’s all over in the North East. Sunderland move up to 17th in the league, Cardiff slip to the bottom of the table. Long journey home for Bluebirds fans. 13:43 – In today’s first game, Sunderland will move above the relegation zone with a comfortable win over fellow strugglers Cardiff. 4-0 at the Stadium of Light with less than 5 mins remaining. 13:35 – Daniel Sturridge starts on the bench against his former club. The striker, with 20 league goals to his name this season, missed last week’s 3-2 victory over Norwich with a hamstring injury. 13:20 – So the teams are in and Mourinho, true to his word, has rested some key players. Cahill and Willian start from the bench, with Kalas and Salah deputising. Tomas Kalas is a Czech 20 year old with zero Premier League experience. Will he be and Ivanovic be the defensive partnership who can muzzle Suarez? Ivanovic sure hopes so. Rob Penney told journalists during the week that Toulon have booked their accommodation for the Heineken Cup already. The French side might be getting a tiny bit ahead of themselves. Counting your chickens is rarely wise in rugby. Just ask the England grand slam chasing squad of 2011. That didn’t work out too well now, did it? It was Ireland who derailed England’s hopes that year, and it is Munster who can force a Toulon employee to ring a Cardiff hotel Monday morning looking for the club’s deposit back. There’s the added bonus of a Heineken Cup final at stake for Rob Penney’s side too. Munster were devastating against Toulouse in the quarter finals, racking up 47 points against the four times Heineken Cup champions. For all their pedigree however, Toulouse are not the force they once were, and currently lie 6th in the Top 14. Toulon, on the other hand, are top of the table with 3 games left of the regular season. Bernard La Porte’s side disposed of Leinster relatively easily in the quarter final, but there is little that Munster can derive from that game. Coach Penney has said that analysis of Toulon games unearthed very little weakness to exploit. The goal for Munster has to be for the entire team to front up on Sunday afternoon at the Stade Velodrome in Marseille. With Peter O’Mahony out for the season, Damien Varley will captain the side. Talisman Paul O’Connell compared Toulon to the All Blacks this week, saying Munster will have to play at a level beyond any they have already this season, including the rout of Toulouse. Forwards Ali Williams and Bakkies Botha will miss tomorrow’s game but there is some positive news for Toulon on the injury front. Bryan Habana, the pacy South African winger, has been passed fit to feature after a long spell on the sidelines. Jonny Wilkinson -forced from the fray early in the quarter final- is also in line for a return. With such an array of talent at La Porte’s disposal, a game-defining moment could come from anywhere. However, it is difficult to ignore the threat of Steffon Armitage. The back-row combines mobility and power to frightening effect, and his work at the breakdown and with the ball in hand contributed hugely to Leinster’s downfall in the quarter final. Munster must aim to nullify his influence as much as possible if they are to advance to May’s final. Crucially important to Munster in this regard will be CJ Stander. The South African replaced injured captain O’Mahony in the victory over Toulouse and put in a man-of-the-match performance. Tomorrow’s game will be the former Blue Bulls player’s first Heineken Cup start. If Toulon are going to go the way of Toulouse, both he and Munster will have to put in a superhuman effort. Moyes sacked: 3 basic reasons why. Two tweets brought to an end David Moyes’ 10 months in charge of Manchester United. And with that “the chosen one” was discarded. It seemed an uneasy fit from the start. Alex Ferguson may have anointed Moyes as his successor, but that didn’t necessarily mean he would be a similar success. The younger Scot had done stellar work at Everton with limited resources, however managing a global phenomenon like United was something altogether different. He was handed a six year contract however, with the idea of establishing a legacy like Ferguson’s. At the time many football fans and analysts praised the length of the contract as it would allow Moyes to put his own stamp on the club. So what has prompted his departure with less than a year of that contract gone? The first reason is the easiest to quantify. As of now, Manchester United are in seventh place in the Premier League. They are 13 points behind Arsenal, who occupy the final Champions League spot. Moyes’ supporters may point to a lack of quality in the United squad bequeathed to him by Ferguson, but it is almost exactly the same roster as that which won the Premier League last season. Home form in the league was not what United fans have come to expect. Losses to Everton, Newcastle, Spurs, Liverpool and West Brom at Old Trafford helped destroy any European ambitions for next season. Losses to Swansea in the FA Cup, Sunderland in the Carling Cup, and Bayern Munich in the Champions League compounded the misery for Moyes in a season which actually began with some silverware in the shape of the Community Shield. Manchester United under Ferguson could play a defensive game if necessary. Andre Pirlo was critical in his autobiography of Ferguson’s tactic of deploying Park Ji Sung to man-mark him in a big European game. However United were always a threat going forward, they played the game at a high tempo and could catch opponents on the break should they show the temerity of attacking the Red Devils. Under Moyes, United played an uninspiring brand of football. There was rarely the sense that they could come back if they went behind in a tie. Build up play was too slow, there was too much emphasis placed on crosses into the box. 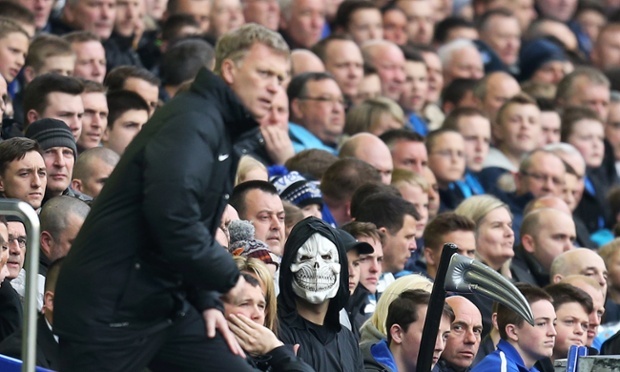 The final straw for United fans (and perhaps the board) came on Sunday when they travelled to Goodison Park to face Moyes’ old club Everton. His successor Roberto Martinez has the Toffees playing an exciting brand of football that has seen them challenging Arsenal for fourth place. Never in over a decade of Moyes’ reign at Goodison, not the thirty-odd years beforehand, had Everton done the league double over Manchester United. After winning 1-0 at Old Trafford earlier in the season, Martinez’ men coasted to victory at the weekend. To an outsider, it would have appeared that the home side were the defending league champions. United’s build up play was turgid and unimaginative, and they rarely looked capable of penetrating a well organised Everton defence. The contrast between the two sides must have been difficult for United supporters to take. There is no denying how well Moyes did at Everton. He came across as a man in total control, and earned plaudits from all over due to the fighting spirit he instilled in his team. They finished fourth in the league in 2005, a remarkable achievement given the resources at Moyes’ disposal. That gave them the opportunity to play European football, but a loss to Villareal in the Champions League qualifier was followed by an early UEFA Cup exit at the hands of Dinamo Bucharest. Subsequent UEFA Cup experience between 2007 and 2009 followed, but the two games against Villareal were Moyes’ only experience at the top level of European football. He didn’t seem able to handle the increased scrutiny that comes with the Old Trafford job. He rarely looked comfortable at press conferences, and horrified United fans when he said that Manchester City were playing at a level United had to aspire to. It may have been the truth, but it wasn’t a wise admission to make publically. United’s squad is in need of a major overhaul, and without Champions League football as an incentive, prospective players will look at the manager in charge as a key factor in whether they move to Manchester. Ferguson, Mourinho, Guardiola. They all have an aura about them that entices top players. Moyes, for all his qualities, does not.